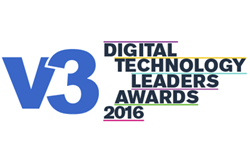 cleverbridge, a global subscription billing provider, announces V3 has named cleverbridge a finalist for two 2016 V3 Digital Technology Leaders Awards. cleverbridge is a finalist in the Best Place to Work in Digital: Small and Medium-sized Enterprises (SMEs) category and front-end developer Steph Milovic is a finalist in the Product Manager of the Year category. The awards focus on four top line criteria: digital innovation, digital excellence, measurable benefits to the organization and measurable benefits to intended end users. Winners for each of the fourteen award categories will be announced at a gala event on June 23 at Montcalm Hotel in London. The V3 Digital Technology Leaders Awards recognize the achievements of the individuals and companies who are innovating on the front line of the digital technology stack: from website design and coding to UX and project management, from scrum masters and product managers, all the way up to the Chief Digital Officer. The Best Place to Work in Digital award celebrates the organizations that possess a digital culture that embraces employee ideas; training and supporting staff development on digital skills; retaining and developing digital staff; and are working to remove organizational silos to push a clear digital strategy. The Product Manager of the Year award recognizes individuals delivering innovative digital products or services and defining the future of their organization’s digital approaches, from business processes to customer outcomes. In 2015, Steph Milovic and the cleverbridge Front-end Development team designed a new online shopping cart that would become the basis for all new checkouts moving forward. Created using Sass (Syntactically Awesome Style Sheets) and the modern front-end build systems that support it, Milovic’s work streamlined the cleverbridge front-end code base, improved clients’ site performance and reduced style sheet lengths from 10,000+ lines of code to just around 2,400. The project effectively cut development time for a shopping cart in half, increasing the efficiency of the entire Front-end Development team by 200 percent. Most recently, Milovic leveraged the modularity of Sass in developing a ReactJS app, aptly called Swapify, which gives clients full control of a shopping cart’s Sass variables and partials. Freeing up clients, client managers and sales representatives to pick out their own style combinations, Swapify can power over 50 million unique cart design variations. Since its founding, cleverbridge has focused on fostering a strong company culture as a global organization, which has resulted in a great deal of industry recognition. The company was named No. 20 on the 2016 Top German IT Employers list; a 2015 Red Herring Top 100 Europe award finalist; and National Champion representing Germany in the 2014/15 European Business Awards’ Employer of the Year Award category. cleverbridge’s Chicago office was also named to Chicago Business Journal's Best Places to Work Awards, Crain’s Chicago Business’ Coolest Offices and Brill Street’s Top 50 Employers for Gen Y Emerging Talent in Chicago.